Yet another action packed week of internet marketing has come and gone, here’s a wrap up of the week that went: Google announces business pages for Google+, monster projections for online advertising in the years to come, tips for B2B websites and how to harness question and answer content for SEO. 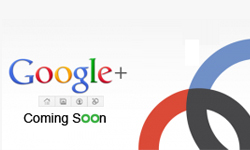 Google+ Business Pages Coming Soon! 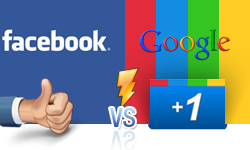 Unless you’ve disconnected your internet for the last week, you’ve likely heard of Google+, Google’s new social network that plans to go head to head with Facebook. Well Google recently announced that it will make Google+ business pages available; Ford, MTV and Mashable will be the first to have their own Google+ pages, we’re definitely excited at TechWyse to see what this could bring to our Social Media Angel service. As we’ve seen first hand at TechWyse, online marketing is here to stay. Every year we find more and more opportunities for our clients to succeed in SEO, Social Media, email marketing and Pay-Per-Click. A recent report by eMarketer reinforces this upward trend by projecting online ad spending to hit $50B by 2015. The report focuses on display advertising, and judging by the success we’ve seen for our PPC clients, we’d have to agree. 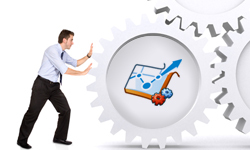 The experts at Search Engine Land have put together a great resource for B2B website evaluation. Among the tips offered are checking your organic sitelink navigation (the links that appear underneath your url in the search engine results page e.g. news, careers, info, contact etc.) The article also discusses building traffic by generating organic keywords and evaluating your organic lead flow process, well worth the read. Another fantastic resource was published by SEOmoz last week, this time about how question and answer content can help you uncover longtail keywords that can drive traffic to your site. People ask questions on sites like Yahoo Answers, Ask.com or even Twitter using everyday English. Uncovering these types of questions and using these natural sentences as longtail keywords can help you tap into traffic that your website may not be seeing.